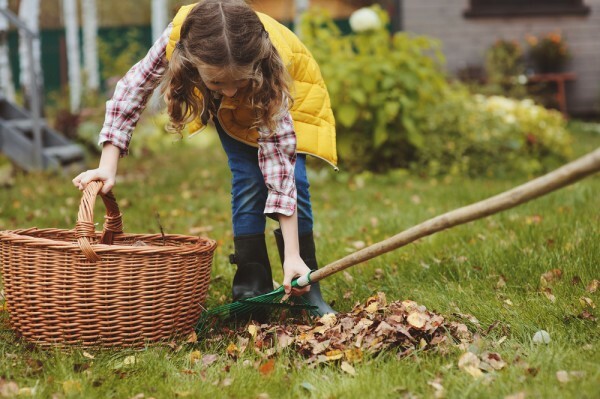 Winter is almost upon us in Melbourne, so now is the time to prepare your backyard for the months ahead with some essential winter maintenance. These maintenance tips will keep your outdoor area functional and looking tidy throughout the winter, and reduce the amount of work needed come springtime. Before the wild weather kicks in, it’s a good idea to inspect your backyard trees for any signs of damage, including rot and broken branches, and to trim or remove them accordingly. Dead hanging branches are a hazard not only to the structure of your home (they can cause significant damage to your roof, powerlines, and concrete patio), but also to your family’s safety, and should be removed as soon as possible to ensure they don’t come loose during high winds. If you’re unlikely to use your barbeque during winter, you should make an effort to clean and store it now. Scrub down the grills and plates with a quality degreaser and disconnect the gas bottle so that it can be safely stored. By cleaning your barbeque now, you’ll be able to tackle the grease before it sets, so you’ll have less work to do later on. Before covering up your pool, give it a good clean, paying special attention to the surrounding tiles or concrete and pool equipment (including filters and skimmers). You should also rebalance the pH and chlorine levels with specialist pool chemicals to prevent against algae growth. If you have lightweight patio furniture, it may be a good idea to store it away to prevent it from blowing around and causing damage during winter winds. If your furniture is pretty sturdy, all you’ll need to do is remove any blankets or cushions likely to come loose. Sealing your concrete will help to protect it from the winter weather and keep it looking fresh. Clean any stains or debris off your concrete (including patio areas and concrete driveways) before applying a sealer, and if you notice any cracks or damage, contact your local concrete contractor. If you need to fix up your concrete driveway or patio before the harsh winter conditions cause further damage, contact the professional team at A Better Driveway on 03 9308 6112. A Better Driveway are concrete experts and can completely transform your home.